Our Fleet Optimization tools at Connected vehicles offers the most extensive metrics available to help you effectively reduce poor fuel consumption. Be proactive in keeping your fuel costs down by managing driver behaviors, such as excessive speeding or idling. 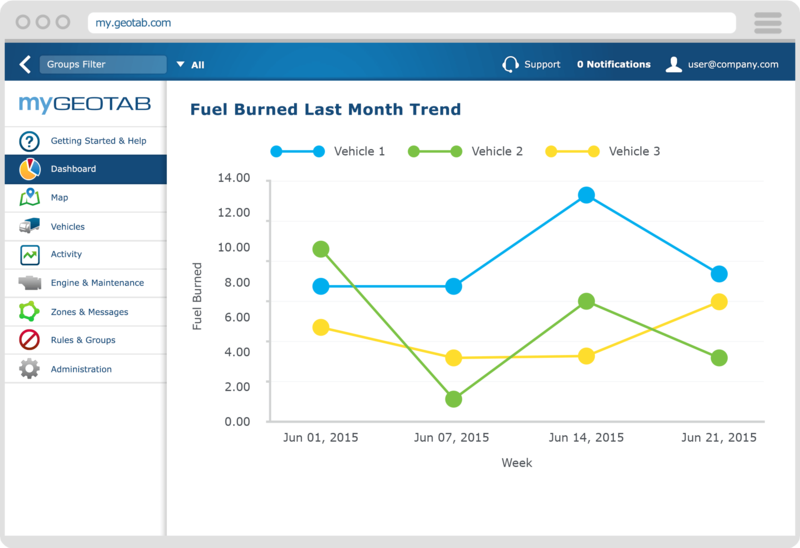 View side-by-side fuel consumption data for all your fleet vehicles. Connected Vehicles tracks the driving behaviors that directly lead to increased fuel costs. You can also compare drivers or vehicles with one another to target improvement areas. From fuel usage to fuel fill-ups, we report on all aspects of fuel to help you identify and reduce unproductive miles. Measure what matters to you! We are here to help optimize your fleet’s performance and operations. Route optimization just got easier. Routing can significantly impact the efficiency and productivity of the fleet. Routing allows your drivers to follow pre-scheduled routes that have been imputed into the system and sent directly to each driver. Route optimization can help you make fast and accurate deliveries, while ensuring optimal customer service satisfaction levels. 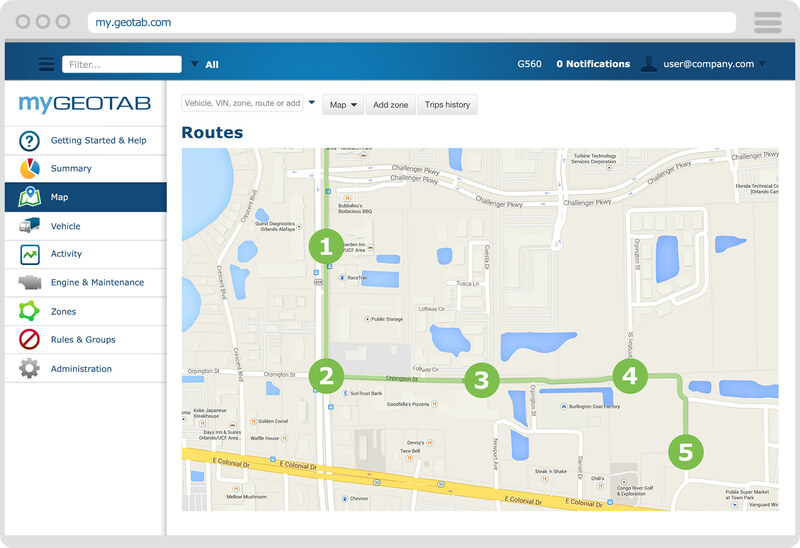 With Geotab’s route optimization tools you can effectively dispatch drivers and ultimately reduce fuel consumption, mileage, CO2 emissions, and increase your organization’s operational efficiency.